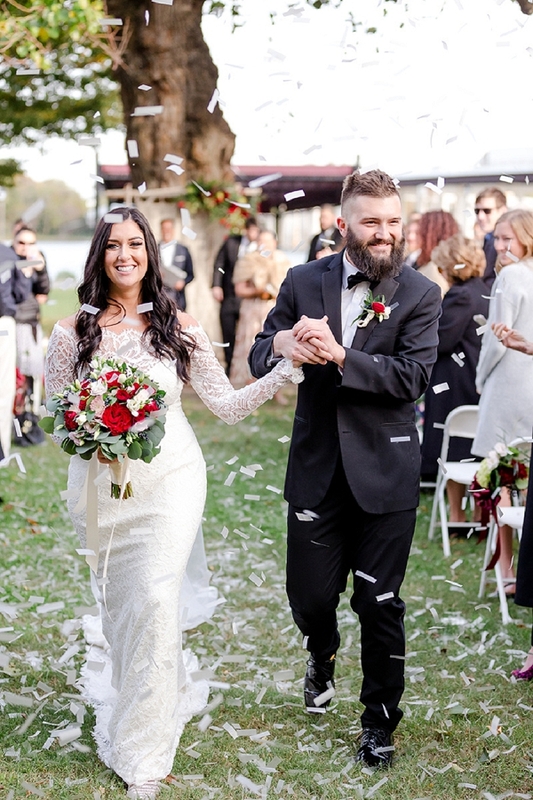 Almost 15 years ago, it was fate that brought Jared and Shayna together for the first time when mutual friends introduced them, but after they went their separate ways, the same force would bring them back to each other five years later. 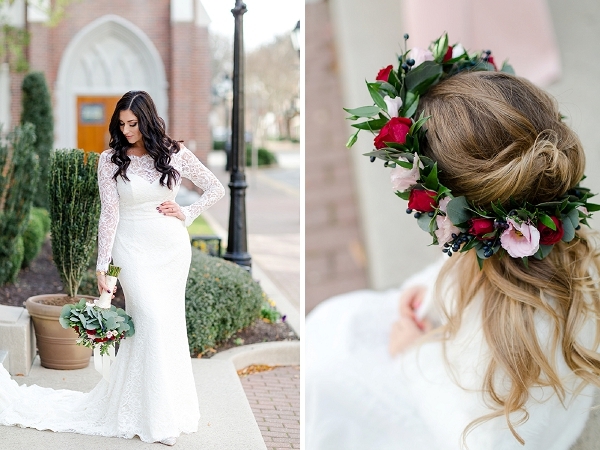 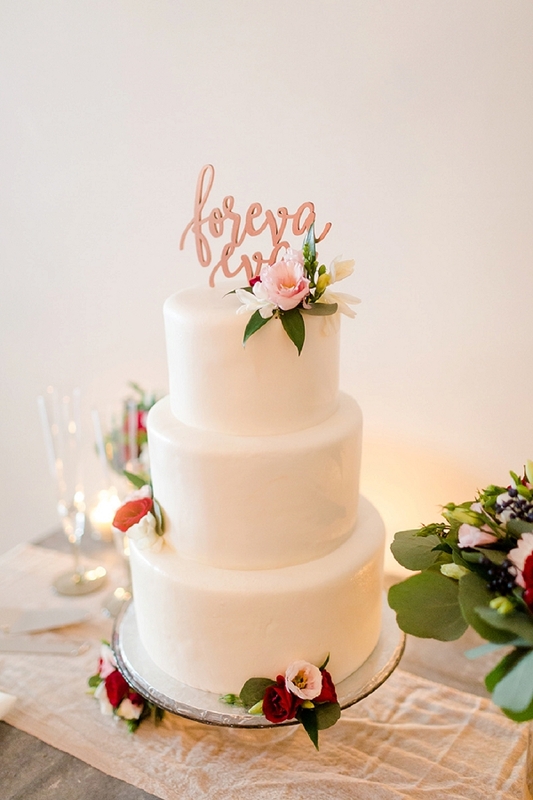 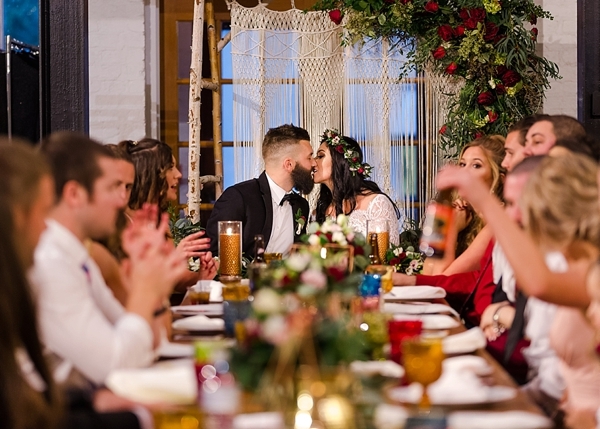 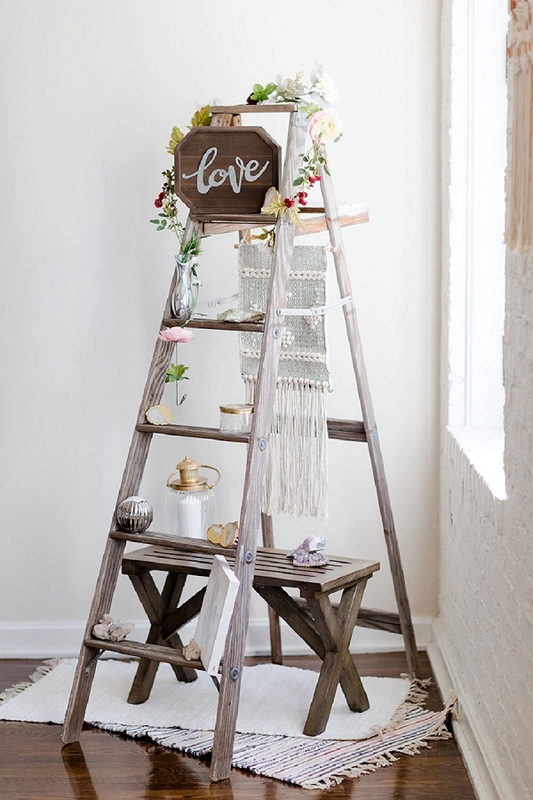 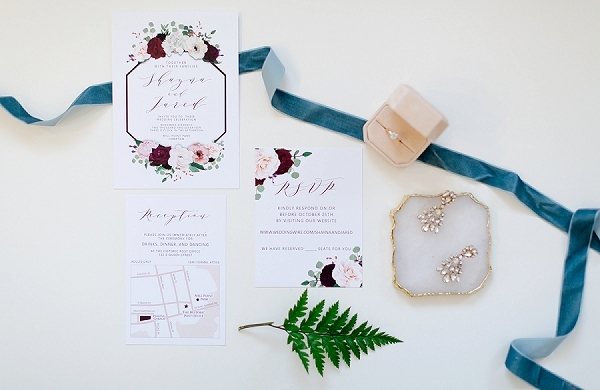 This time, it was for keeps, and before they knew it, they were planning the modern boho wedding of their dreams with the help of Kelsey Ann Events. 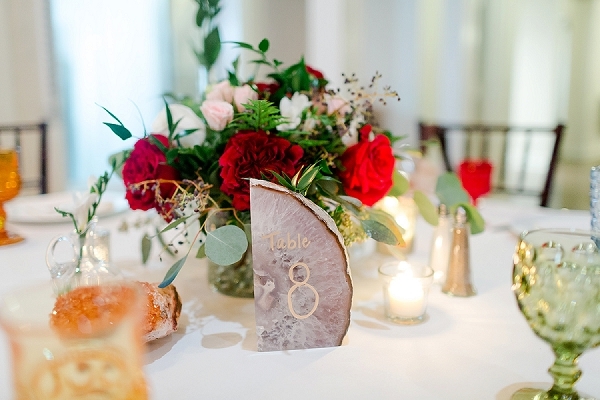 They wanted a relaxed bohemian style integrated into luxurious details like agate stone table numbers and floral swag for days, and that was a dream made reality! 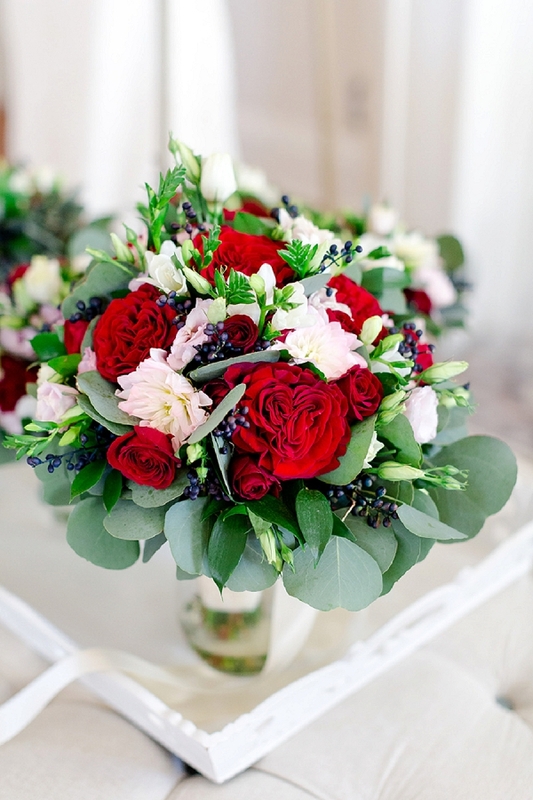 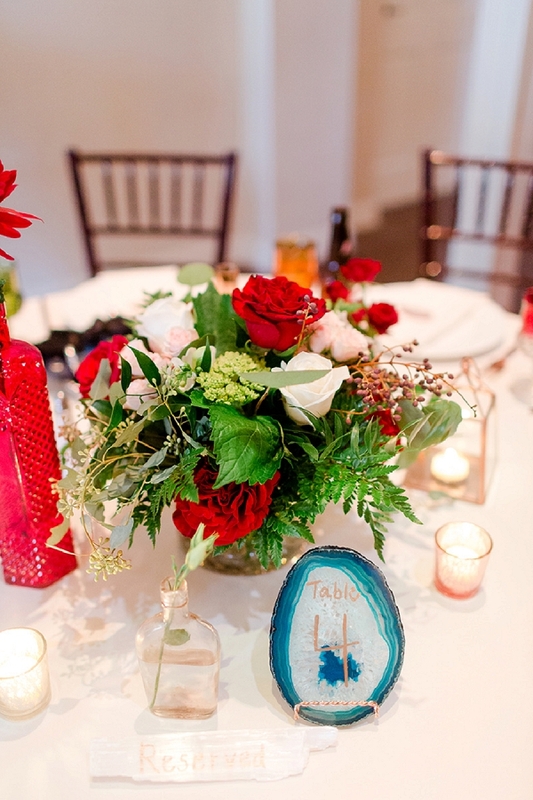 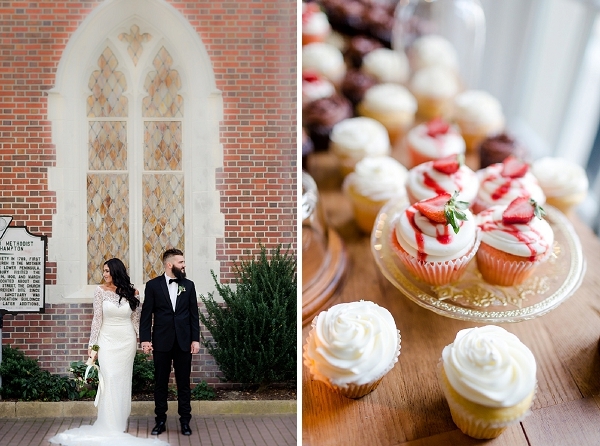 In a color palette of red, white, and black, romance was clearly at the center of Jared and Shayna's celebration at the Historic Post Office in the heart of downtown Hampton. 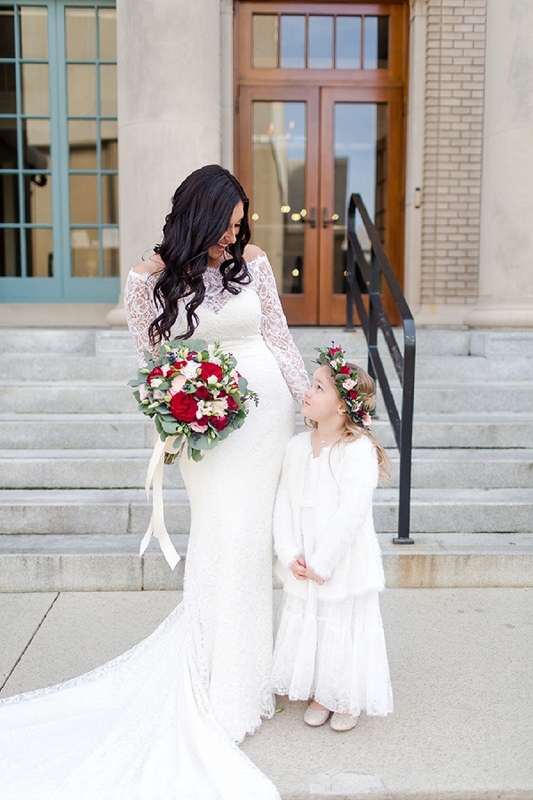 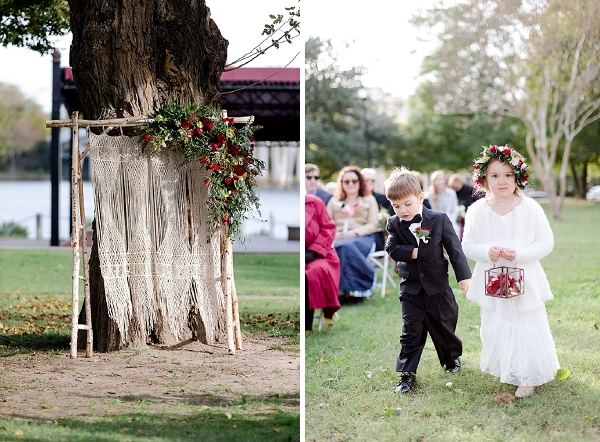 Shayna was a stunner in her sleek lace wedding gown and Jared oh so dapper in his bow tie, and we were equally charmed with her adorable flower crown-adorned little attendant and the entire gorgeous wedding party. 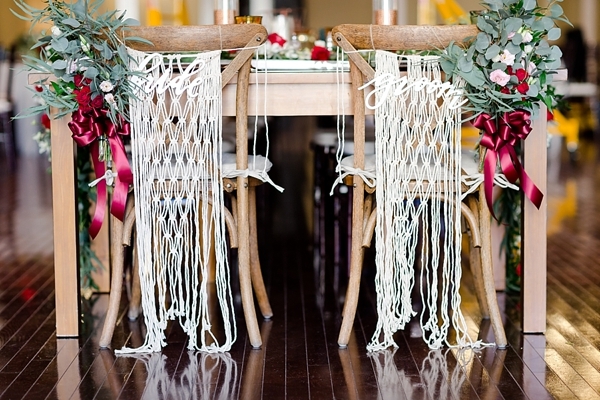 With details captured perfectly by Luke and Ashley Photography, every bit of their reception dripped in details that we can't stop obsessing over, especially all the macrame!